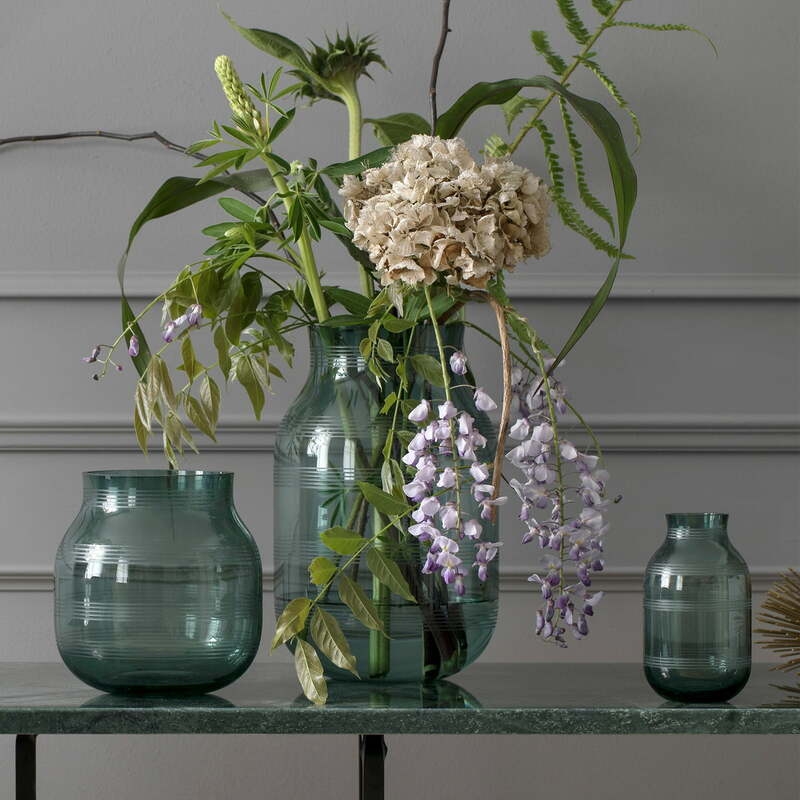 The Omaggio glass vase by Kähler Design was designed by the designer duo Stilleben and belongs to the series of iconic vases, bowls and candlesticks of the same name. The elegant hand-blown glass vases fit perfectly into the existing white ceramic series with its characteristic horizontal stripes and interpret the pattern with a modern and new grooved pattern. The glass vases with the striped groove pattern are available in different colours. The different colour tones give individual flowers or lush bouquets a fine frame and let the light shine through in a beautiful way. The vases fit in perfectly with their surroundings and become a discreet eye-catcher in the living area. Alone or in combination with other products from the Omaggio series, each glass vase becomes a modern decorative element. 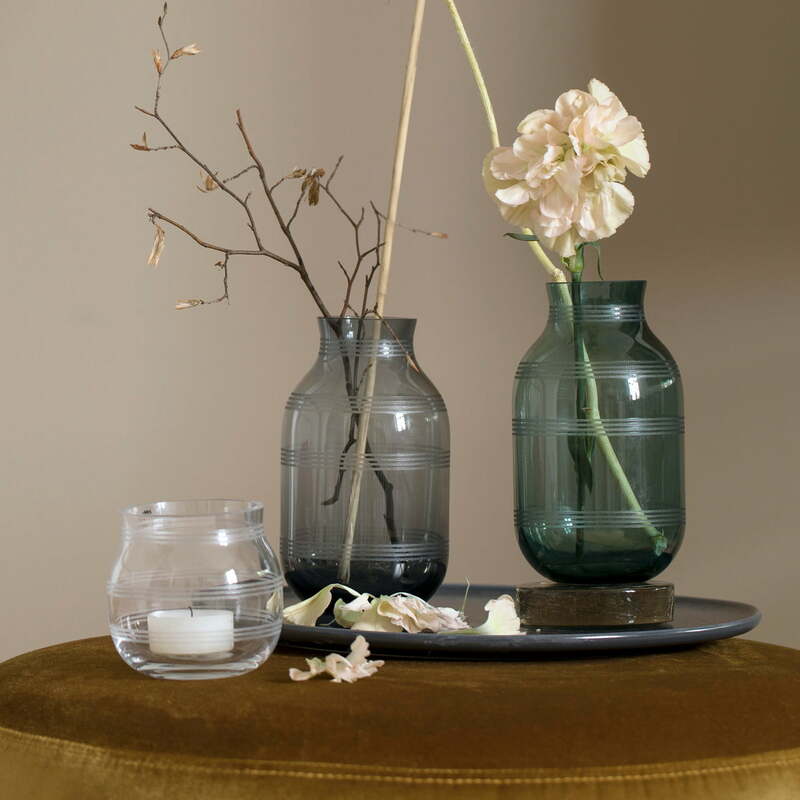 The Omaggio glass vases by Kähler Design are available in different sizes. Isolated product image of the Omaggio glass vase with a height of 140 by Kähler Design in plum blue. 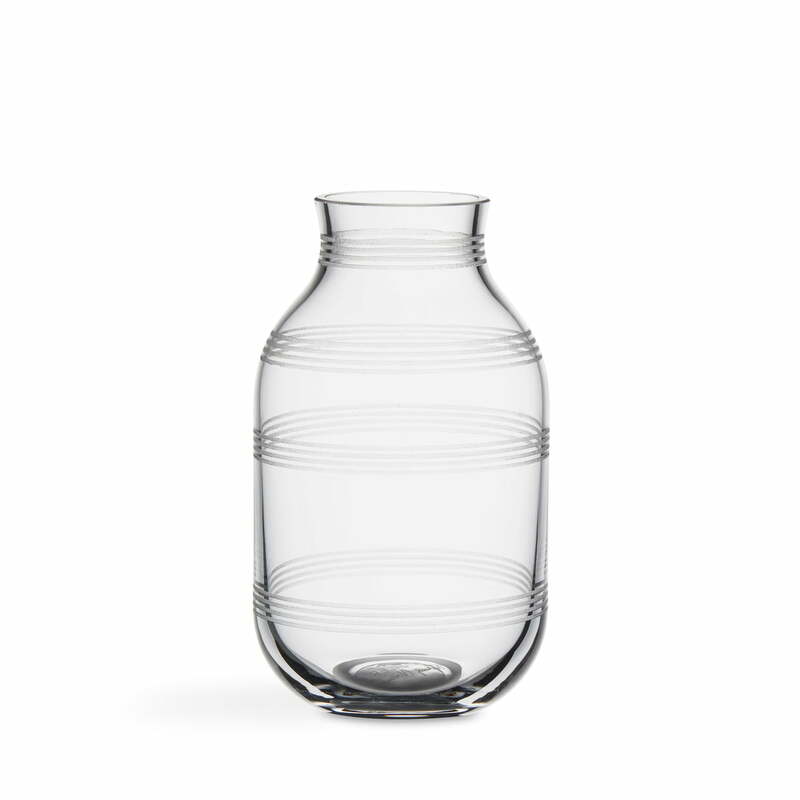 The perfectly shaped ikebana vase by Fritz Hansen is made of mouth-blown glass. 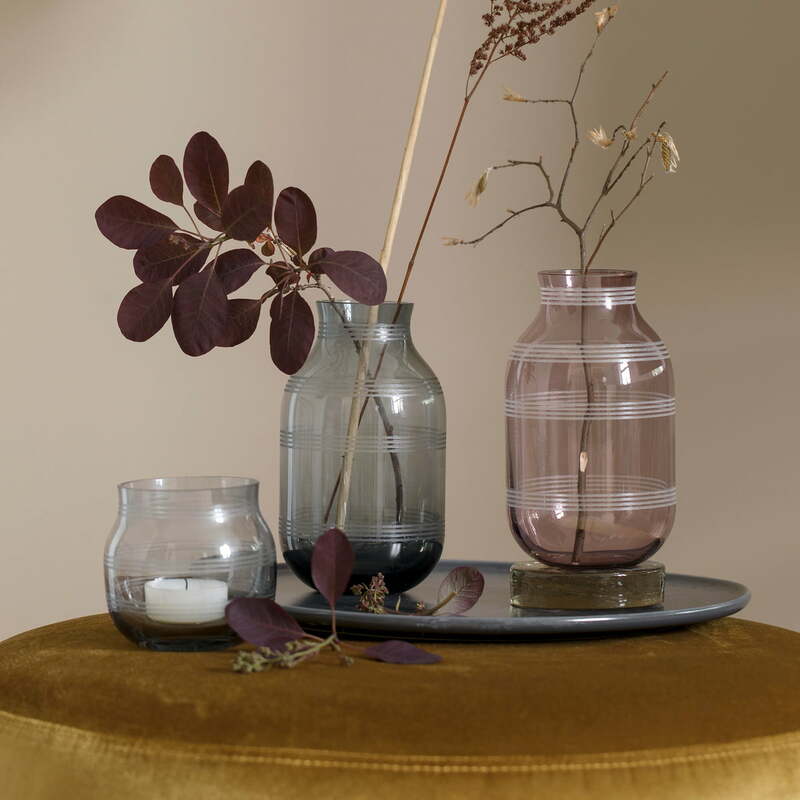 The Omaggio glass vase by Kähler Design was designed by the designer duo Stilleben and belongs to the series of iconic vases, bowls and candlesticks of the same name. Lifestyle product image of the Omaggio candleholder by Kähler Design. 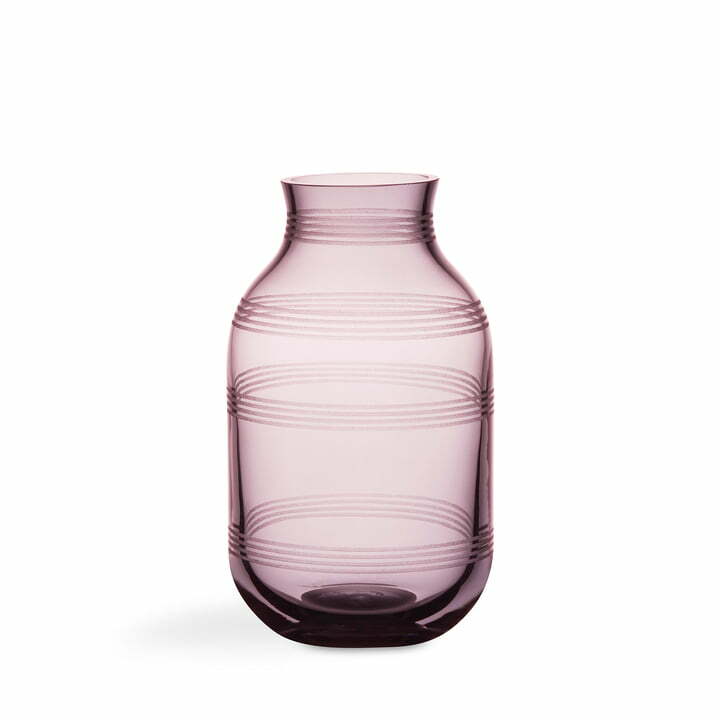 The glass vases with the striped groove pattern are available in different colours. The elegant hand-blown glass vases fit perfectly into the existing white ceramic series with its characteristic horizontal stripes and interpret the pattern with a modern and new grooved pattern. Lifestlyle product image of the The Omaggio glass vase by Kähler Design with flowers, The Omaggio glass vases by Kähler Design are available in different sizes.